Egan Landscape Group is at the forefront of paving stone installation. We are an ICPI certified installer. 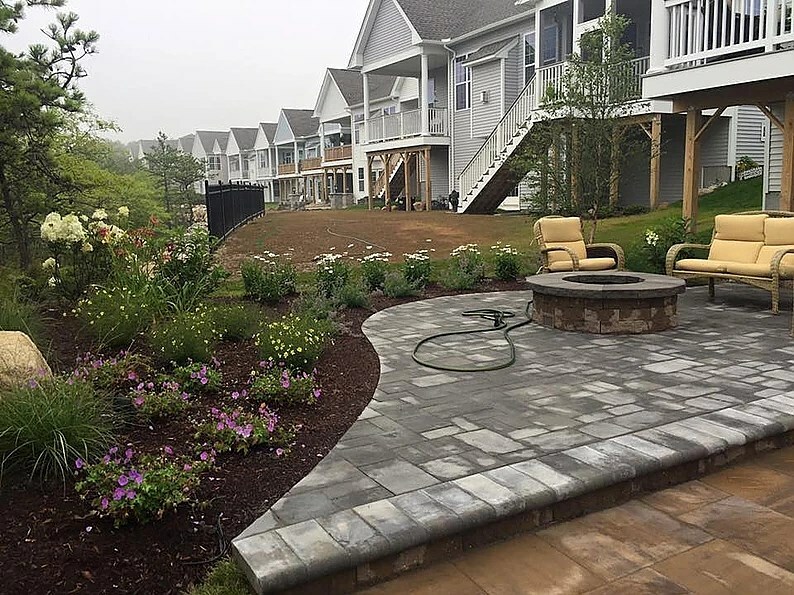 As we continue to require our customer's overwhelming approval of our installations, Egan Landscape Group will continue to be a dynamic leader in an expanding industry. We would be glad to provide you with a list of projects that you could drive by to determine if a paving stone driveway, walkway, or patio is what your are looking for. At Egan Landscape Group, all of our installations are performed as per manufacturers specifications, thus carrying all applicable warranties. 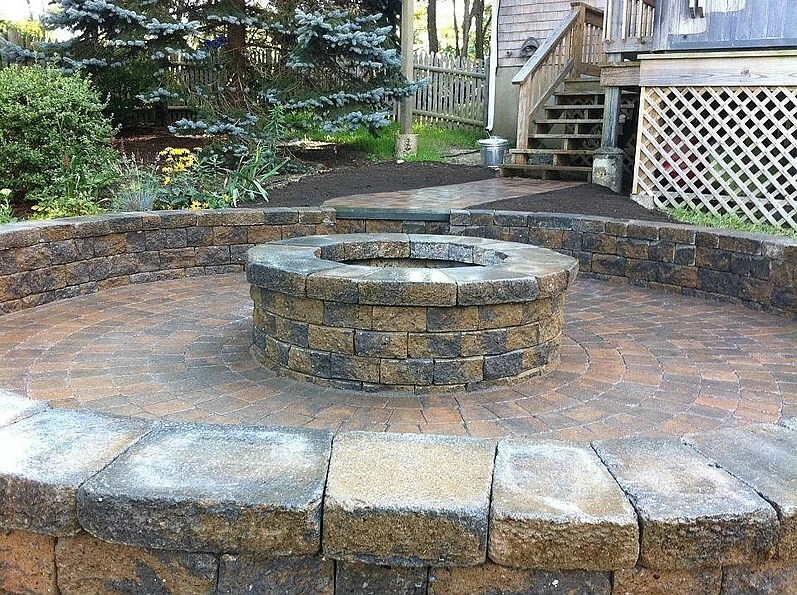 Our creative team can turn a standard patio or retaining wall system into a finished product that you dreamed about. 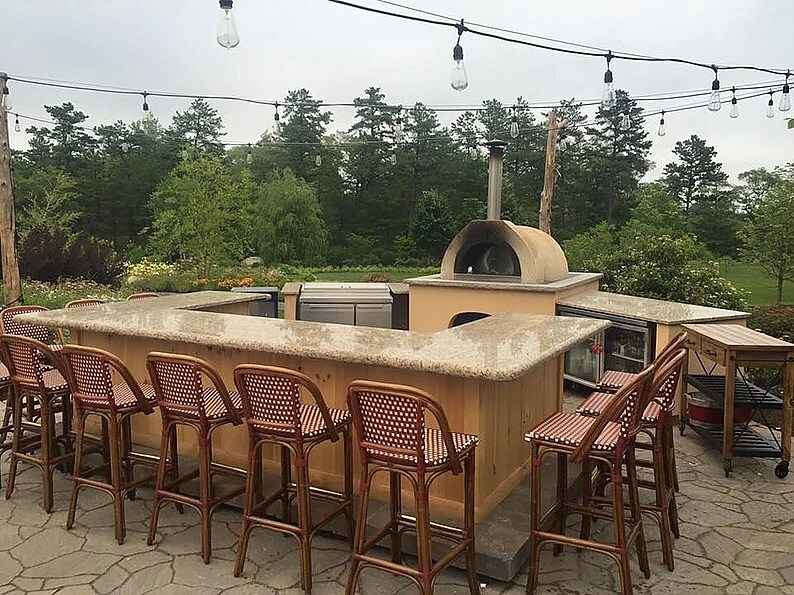 We incorporate our materials into pillar systems, outdoor grilling and kitchen stations, firepits, pizza ovens, and even full size outdoor fireplaces. Needless to say, we can build just about anything. 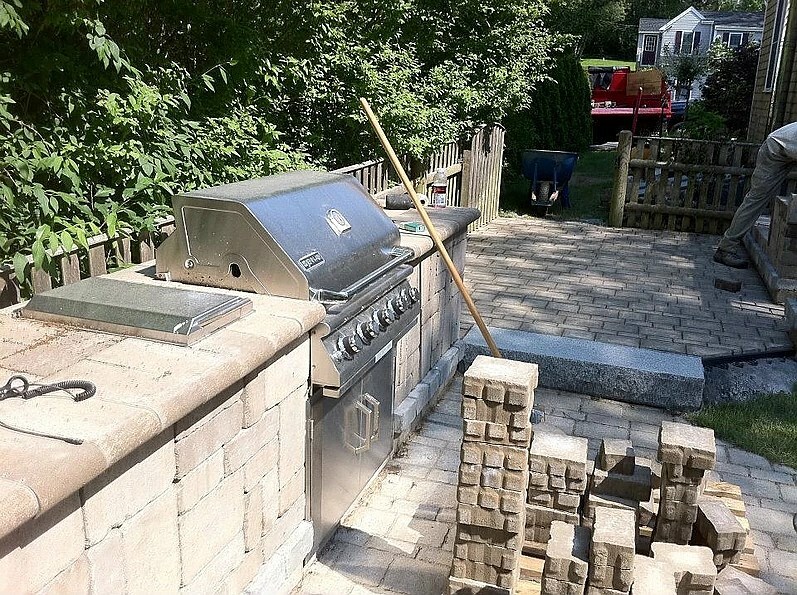 The hardscapes we build are guaranteed durable because of the quality materials we use. We source them from leading hardscape suppliers and manufacturers in the country. 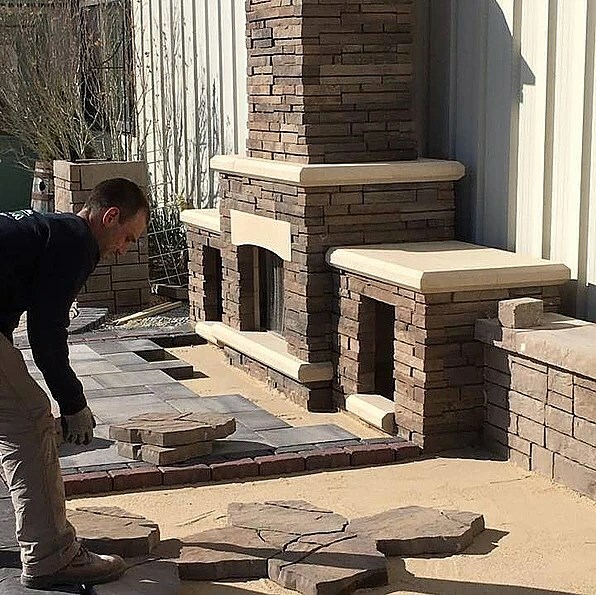 We will ensure that the hardscapes we create will provide our customers comfort, convenience, and the new outdoor living spaces they desire. These features and amenities are made from top-notch materials to enhance the beauty and function of your outdoor space. Adding these features to your landscape will also increase your property’s overall value. 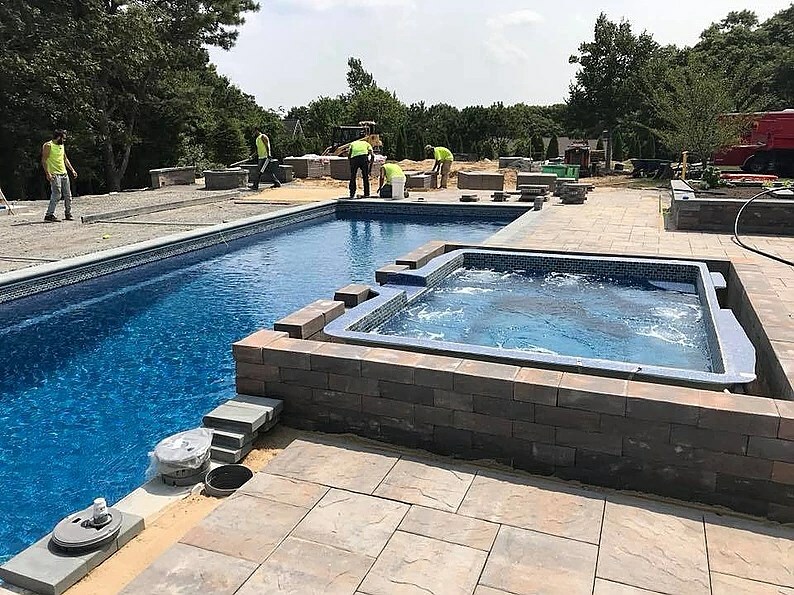 We have a dedicated team of certified hardscape design professionals who can design extraordinary features for your property. Aside from our creative people, we also use modern design tools. Our hardscape imaging software can create stunning designs for any outdoor space, whether it is a residential or commercial property. Our imaging tool enables you to visualize your desired amenity even before it is installed. 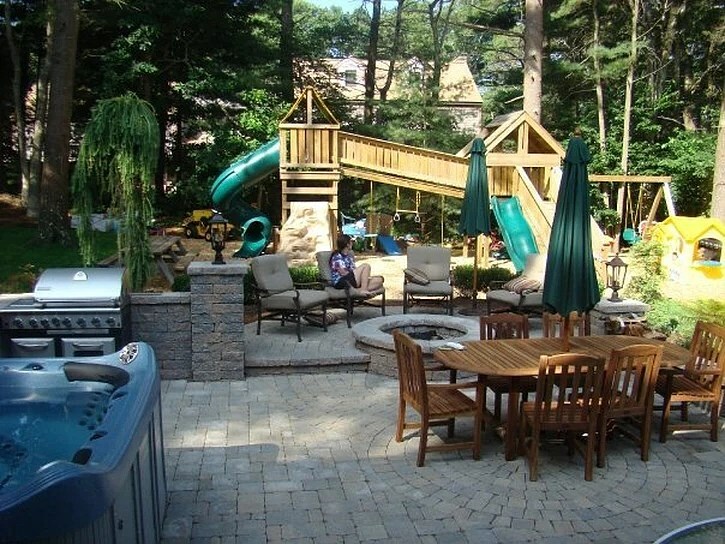 When designing hardscape features, we always consider the benefits they can provide to our customers. Here are some of the reasons why we ensure the functionality, durability, and aesthetics of every amenity we create. Functionality. 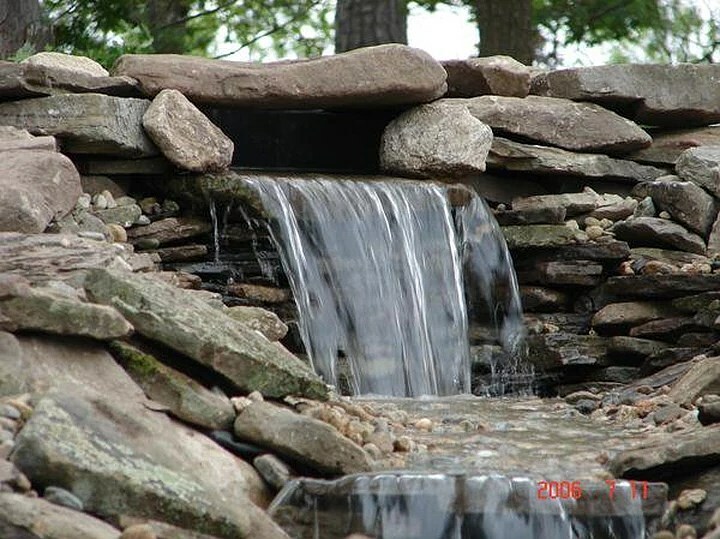 We consider the form and function of every hardscape feature we build to achieve stunning, functional landscapes. 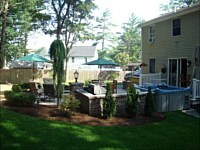 We can create new living space, make the outdoors more accessible, or highlight certain features. Durability. We select and use materials that can withstand harsh outdoor elements, such as wind, rain or snowfall. 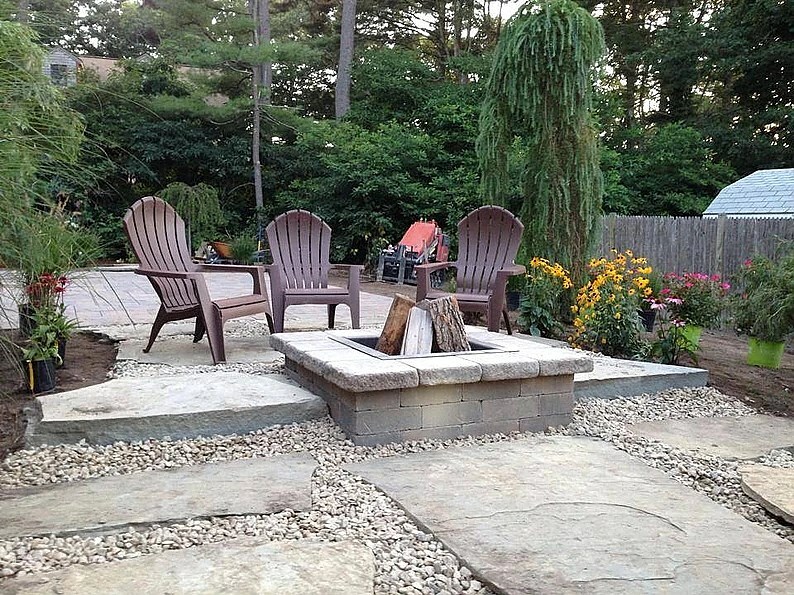 We can help you decide the right materials to ensure the longevity of your hardscapes. 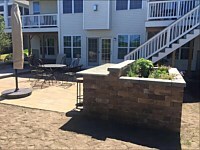 Some of your options include concrete, pavers, natural stones, and bricks. These materials are proven durable and can endure heavy traffic. Features made from these materials are also easy to maintain. Aesthetics. 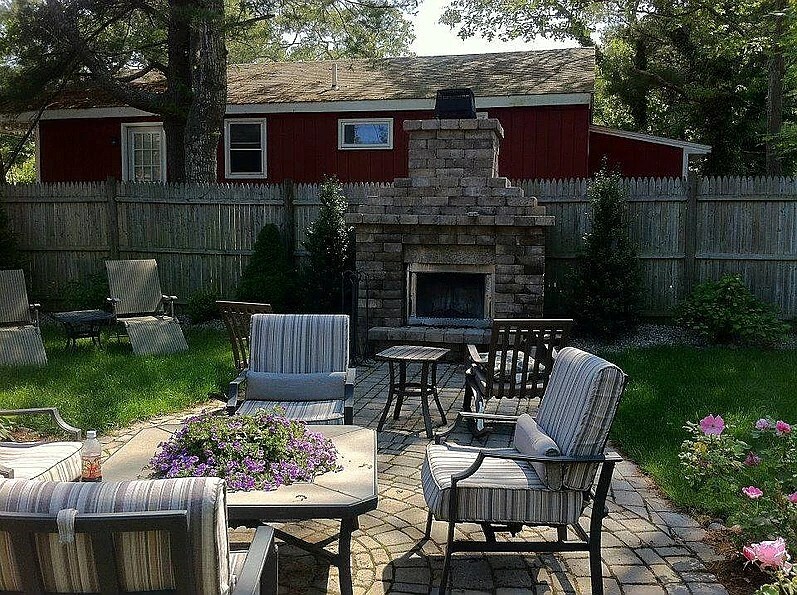 Paving and building materials should closely match or complement with the other landscape elements and your home. A well-designed hardscape will seamlessly blend in, enhance your outdoors, and even highlight your property’s architectural features. Please visit our design page for more information on our design options. 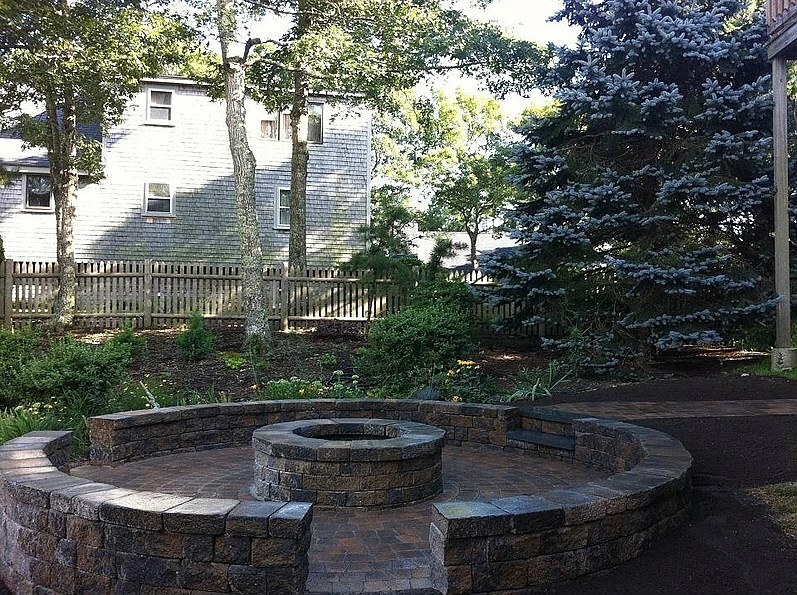 Egan Landscape Group is a trusted hardscape builder in Massachusetts. We have numerous certifications and accreditations from various manufacturers and industry organizations, so you are assured of our competency and skills. 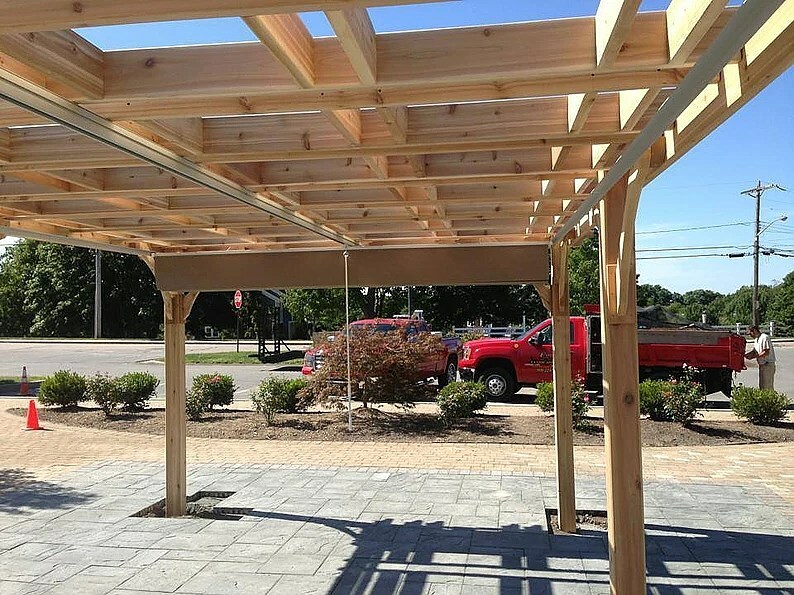 We also follow systematic installation processes and use proven installation techniques. Moreover, we have a complete set of tools and equipment for all types of hardscape installation projects. No matter what the scope or difficulty level of a project, you can count on us to complete it as efficiently, meticulously, and skillfully as possible. Egan Landscape Group is always ready for any task that our customers may require. We serve property owners throughout Massachusetts, including, but not limited to, Plymouth, Upper Cape Cod, and the South Shore. Call us at 508-224-9300 and let us build stunning and functional hardscapes on your property.